Slightly bruise coriander. In a pitcher, combine coriander with a very chilled bottle of Martini & Rossi’s Asti Spumanti and freshly squeezed lime juice. Stir well. 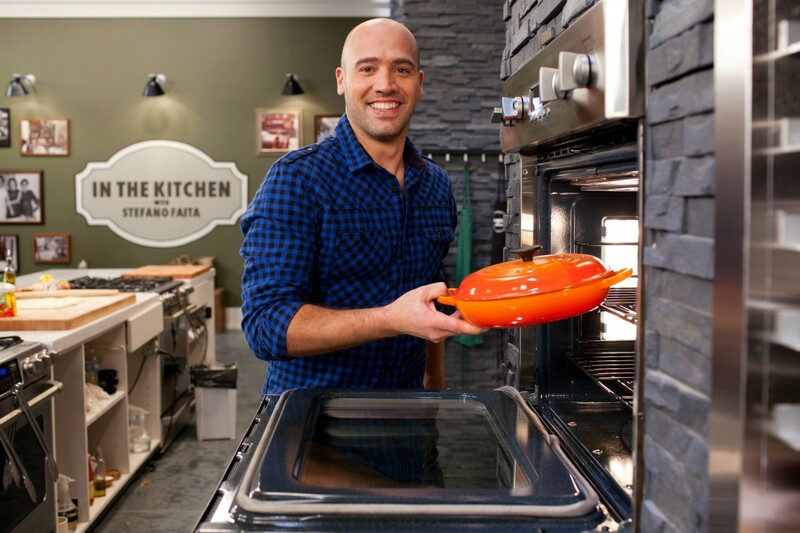 Stefano inspires viewers with his passion for making food from scratch with fresh, simple ingredients. He shares his special rustic recipes inspired by his family\’s rich food history and encourages viewers to get \’in the kitchen\’ to enjoy food with friends and family. Shot in front of a live studio audience, IN THE KITCHEN showcases Stefano at his best — interacting with audience members and teaching cooking techniques and methods in an informal, cooking-school-like atmosphere. Jose Made in Spain explores the culinary and cultural riches of Spain, hosted by Chef Jose Andrés. Traveling throughout Spain, José takes viewers to the source and inspiration of the dishes he prepares back in his kitchen. Pati sets out to explore the Maya world in the Yucatan Peninsula. Embarking on a road trip that will cross three states, Campeche, Yucatan and Quintana Roo, Pati meets with local producers, growers and chefs, both in restaurants and in their homes, to learn about the unique cuisine of the region. From visiting remote fishermen\’s villages, to historic haciendas, to bustling markets and pre-Hispanic ruins and underground cenotes, this season goes deeper than ever before. As is customary, Pati then brings her learned lessons and experiences back to her kitchen, where she gives each viewer a one-on-one lesson on how to make all of these dishes their very own. David Rocco, the King of \’Indi-talian\’ fusion returns to India to take the road less traveled, visiting lesser-known locales to uncover some of the country’s hidden gems in a new season of Dolce India. He introduces us to the Portuguese influence in Goa, the Chinese community in Kolkata and the holiest of Punjabi traditions in Amritsar, and samples plenty of culinary delights along the way. Armed with his quanto basta or andaz (all by eye) approach to food, David cooks in kitchens across the country and breaks bread with the locals in hopes of demystifying Indian cuisine. TLN is the television destination for putting more colour in your life! The English-language specialty channel is home to more programming that unites cultures through shared experiences and memorable moments. From travelling through stunning scenery with David Rocco’s Dolce India to sharing an Italian feast from Lidia’s Kitchen and gathering together to enjoy weekend blockbuster movies, TLN delivers more fun, more laughter, more tears, more joy, and more life to more than 6 million Canadian homes.